As little ones grow, you will find that their senses of exploration and curiosity grow, too! 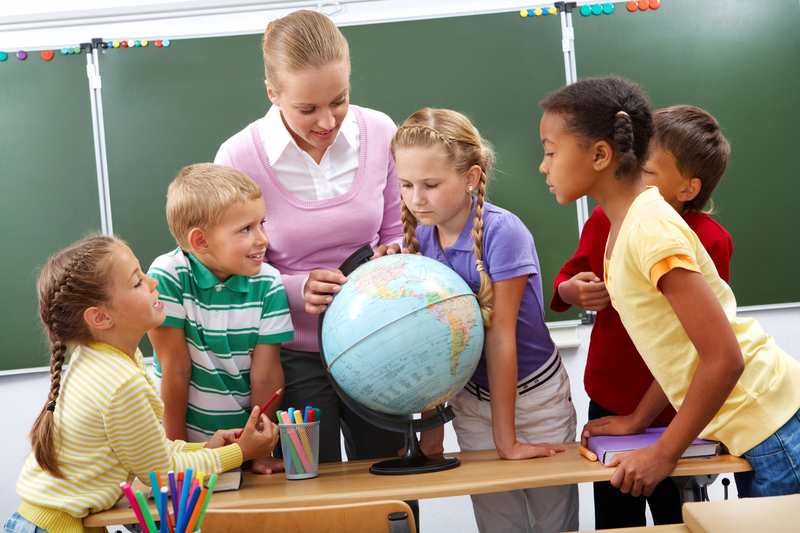 Children generally love to learn more about the world around them. They also enjoy using the skills that they have gained. For instance, a child who learns to walk will likely prefer to use that new skill as much as possible. So, he or she may become a bit fussy when an adult tries to carry the child. Since the little one has recently acquired a new skill (walking), the child would rather use that knowledge instead of getting carried. No doubt, children love to use the skills they develop. This is why it is so important for both parents and educators to help kids to develop helpful and healthy skills! This includes the development of good listening skills. Most likely, as your little ones get older, you are beginning to notice a few changes in how they respond to you. Maybe, it is a little difficult to make sure your kiddos follow directions. Sometimes, it can become challenging for children to understand the value of heeding instructions when they get to a certain age. It can also be hard for kids to truly learn how to listen to what others are saying. Understanding what is important to other people can be difficult for everyone, children included. So, parents should work to help their little ones to develop good, active listening skills. But how do you help your children to grow in this area? When can you start helping them to listen well? How important is this development? Let’s take a look at some information that might help. Why Are Good Listening Skills Important for Kids? Many people think of good listening skills as the ability to hear and follow directions. But, that’s not all it’s about. Believe it or not, children actually begin to communicate before they are even able to speak. Babies generally cry in order to express discomfort. Little ones may cry when you are out of sight or when they want something to eat. You have probably heard your infant enjoying his or her newfound ability to babble in a way that sounds conversational! These are just some of the first steps they are taking toward the development of communication through speech and language. Soon, your little guys and gals will begin speaking and conversing with you with very little difficulty. They will be able to tell you that they are uncomfortable using words. They will also be able to use language to let you know that they are excited or happy! But, at a young age, your child also begins to learn the power of hearing and listening. They begin to take in the value of conversation. Now that they are learning to use words, they are also becoming more aware of how others use words to communicate their thoughts. But, now is the time for little ones to learn about how to use active listening skills. These skills are helpful for many different reasons and will help your little ones in countless ways as they grow older. You see, good listening skills aren’t just about hearing instructions. When someone is able to listen well, it improves the value of their conversations and interactions. So, as your children gain good listening skills, they gain the ability to have meaningful communication with others. Listening is a part of socializing. And healthy social interactions help to improve our emotional conditions. So, good listening skills actually affect us in many positive ways! 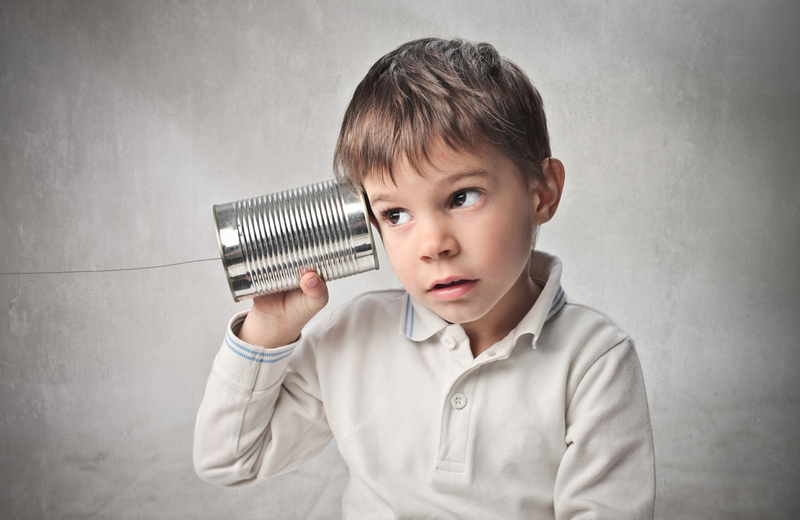 You might wonder how you can help your child to develop good listening skills. Well, there are a few things you can do. For one, you can read to your children. It’s true that this provides you guys with some bonding time. But it can also help your kids to learn more about listening. As your children engage in the act of listening to you read, they gain the skill of listening to others speak. They’re not just hearing. But, they’re listening with the intention to gather information. This is the main goal of being a good listener! When you read to your little ones, you actually involve them in a type of exchange that they will encounter often in life. While you are reading, your child is hearing your words and analyzing them. This involves your child cognitively, making sure that he or she is engaged in actual listening rather than mere hearing. This is an important process as it is important for us to actually work to understand what people are saying to us in a conversation. Also, while you are reading to your little ones, it is important to stop and ask them questions. This helps to ensure that they are comprehending what they are hearing. It also helps them to understand that listening is an action that requires them to think and understand. These are definitely important elements of successful conversations and exchanges. Another thing you can do to help your children develop good, active listening skills is to lead by example. As your child interacts with you, show that you are listening. Engage in conversations with them. For example, if your daughter is telling you about her day at school, ask questions based on what she has said. If she mentions that she loved story time, ask her which story she enjoyed and why. Again, listening is more than simply hearing with your ears. It’s hearing to get the most out of a conversation. It’s hearing with the purpose of learning. Be sure that your children know that you value their words. You like to hear them speak and wish to engage in conversation with them. If your kids feel that their words have value to you, they will likely feel that yours are also important. In turn, they will probably begin to understand that the other individuals in their lives also have important things to say! Finally, you as a parent can help your children in this area by giving them the opportunity to interact with others. As kids communicate with their peers and other adults, they learn just how important it is to listen to others and be heard. It’s important for little ones to feel involved in social interactions. Again, as we listen to others and are heard by them, we can become more successful in our day-to-day exchanges with the people around us. And, as a result of these positive interactions, we can gain more positive esteem for others as well as ourselves. As we mentioned before, it is very important to feel that what you say is important. It is also important to let others know that what they have to say is important. As your child begins to listen to others and develop the skills they need in order to do so, they will find conversations more engaging. You may begin to see an improvement in the way they communicate with you and their other family members. You might also see them interacting better with their peers. Encourage your children to take the time to really listen to what others are saying. Help them to learn how to speak when it is time but then to listen when it is time to do so. Work with your little ones to help them gain more understanding of why it is so important to hear and listen. Not only will their exchanges with others improve, but this will also help your kids to become better at hearing and heeding instructions. A positive and engaging learning environment can help your children to develop good listening skills. When your child is in school, he or she can gain more experience in listening to others and having successful communication! Here at Ivy Prep Early Learning Academy, we understand the different aspects of your child’s growth and development. So, we make sure your kids are able to flourish in many areas, including physically and cognitively. We also provide an environment where kids can interact with their peers and develop new skills. So, if you and your family are looking for an educational daycare in Manhattan or another part of New York City, just contact us today! *Originally posted on August 2, 2018. Updated on March 27, 2019.